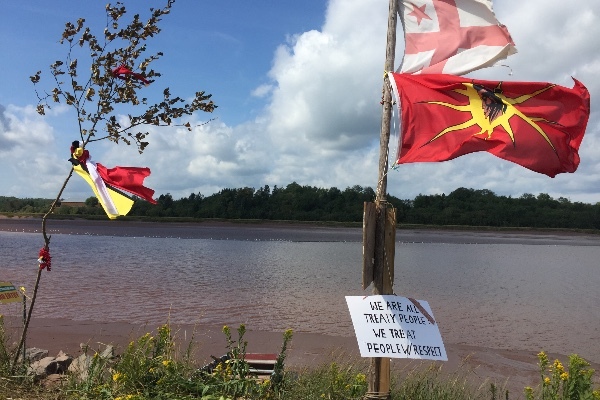 Mi'kmaw from every community along with a multitude of groups of Nova Scotian citizens have been busy resisting the Alton Gas Project on the Shubenacadie River. 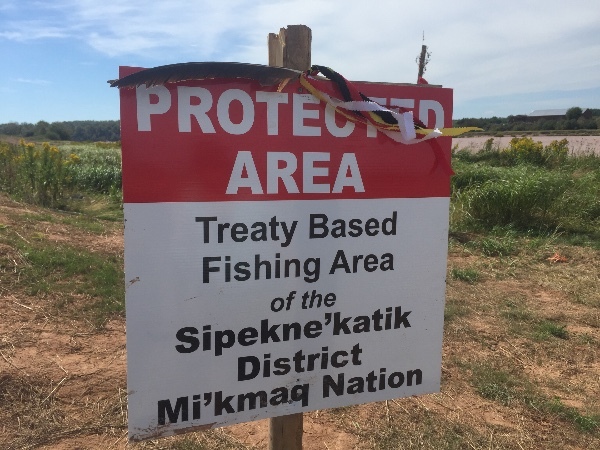 My name is Michelle Paul , I live in the Sipeknekatik district and am one of the many people taking a stand against this project. 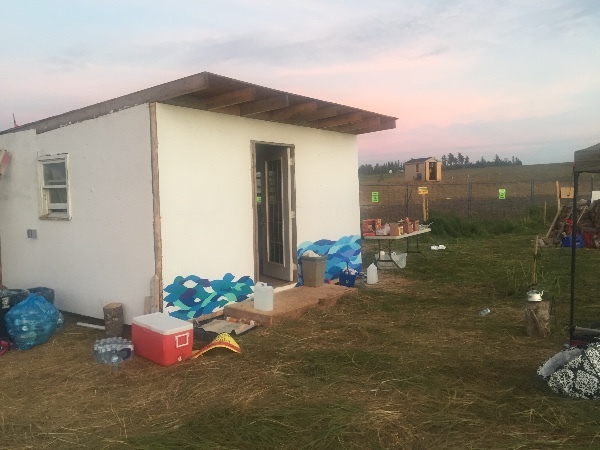 We've built a Truckhouse on site, as outlined in clause 4 of our 1752 treaty of peace and friendship and have erected a Tipee on Treaty Island where several traps are dropped and checked daily. This all could not have been done without all the generous and continuous support of donations for supplies, food etc. 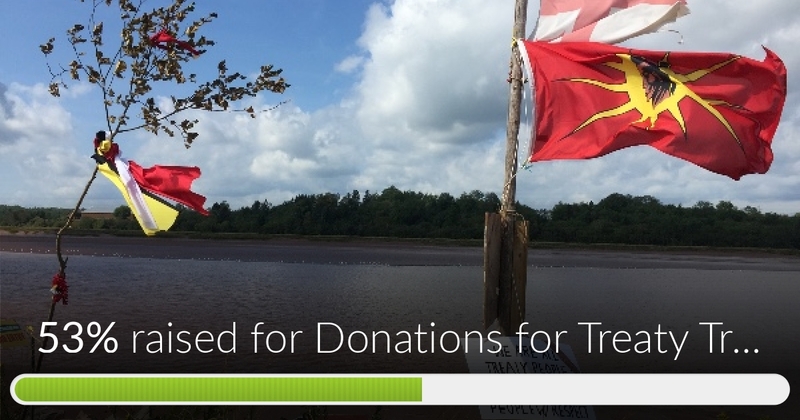 We appreciate every single donation to date and are now in greater need for a solar panel on site. 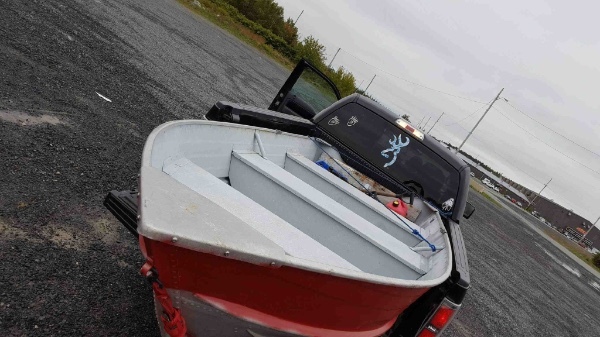 As you know, we were successful in reaching previous goals to purchase a boat and motor to continue our efforts, collection of science data, and assertion of treaty fishing rights. We've inserted a stovepipe with a wood burning stove inside the Truckhouse to keep all guardians of the river warm as the weather turns. 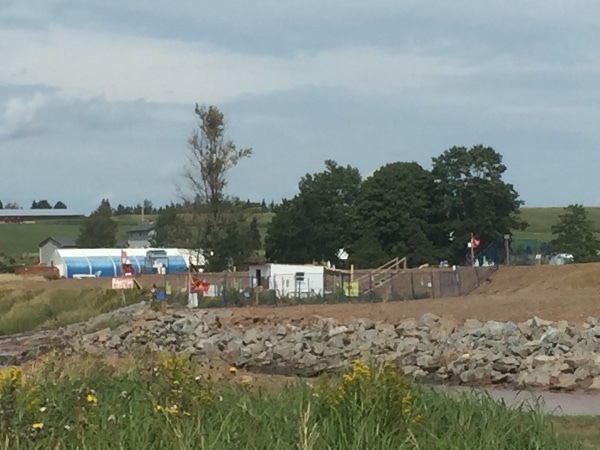 We are grateful to the Antigonish Community Energy Coop for graciously lending us their portable solar panel power unit for several weeks- it's now time to purchase one to stay at the Truckhouse site. Ideally we would like to purchase one like the one we have been borrowing, and are told a similar unit could be purchased and installed at Truckhouse site for approximately $1000. We had a great weekend at the Truckhouse! The tide did NOT flood or even reach the Truckhouse!! 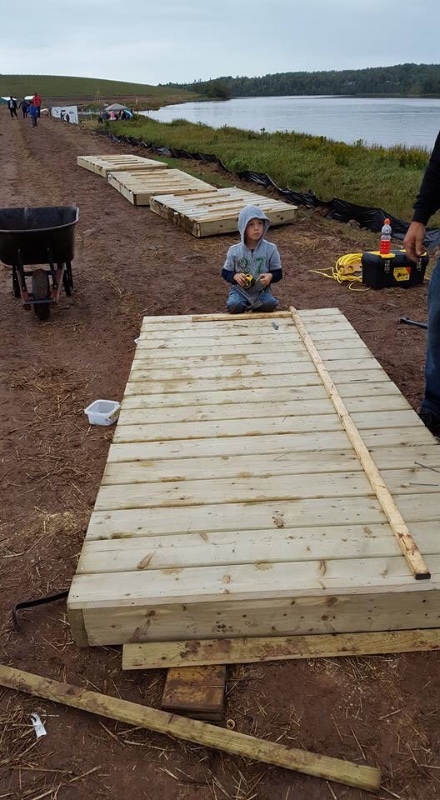 !Our Dock is now built and ready to be secured....and we are close to HALFWAY to receiving enough funds to purchase a boat with motor!! !